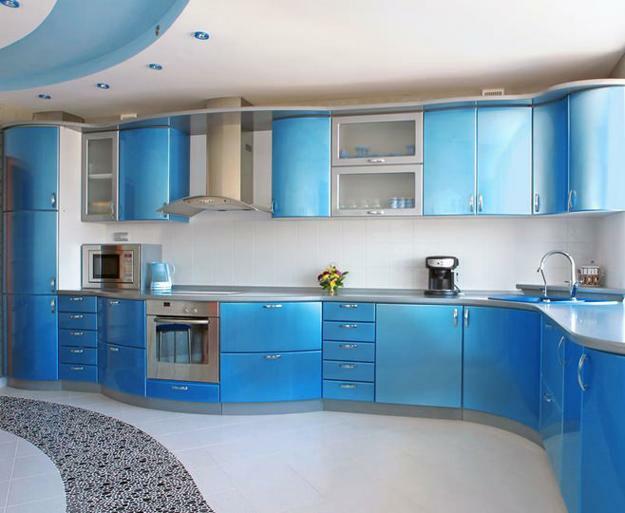 Turquoise blue color is modern, fresh, interesting and universally attractive color design choice. Turquoise blue color adds unique, bright and pleasant feel to modern interior design and decor, creating beautiful rooms and offices in combinations with white decorating ideas, green colors, yellow, orange and rich golden colors, pink and purple color hues. 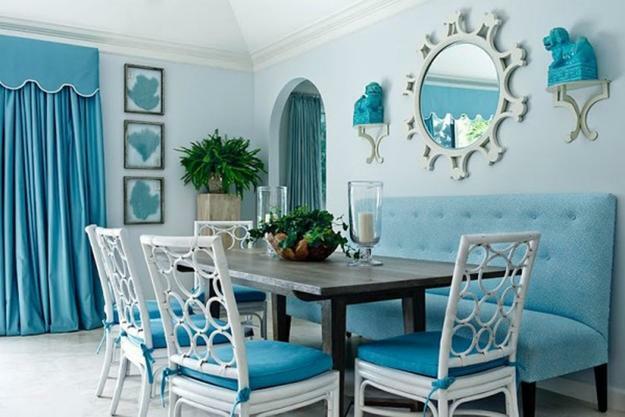 Lushome shares great inspirations and tips for using turquoise blue color in modern interior design and decor, which demonstrate how creatively mix unusual pieces of room furniture with wall paint and small home decorations in turquoise blue color. Often it is enough to choose this great color and add small accents to make interior design and decor look bright, attractive and stylish. 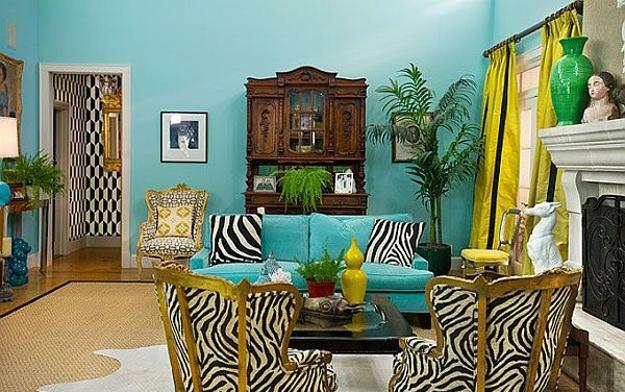 Sometimes turquoise wall paint, large floor carpet, window curtains or furniture upholstery needed to bring drama and style into modern interior design and decor. Turquoise blue color tones can be tender and soft or bright and juicy, adding softness or richness to modern interior design and home decorating. Each turquoise color hue, from dark to light, has creates unique visual effects and work with different contrasting color design shades, which increase the impact on people. 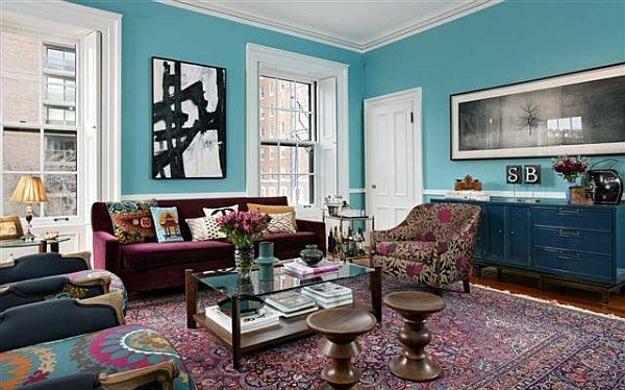 Turquoise blue color is an attractive and powerful design color choice. This blue color hues are cool, quiet and peaceful, and need to be used as accents or be combined with warm design color shades that add comfort and coziness to interior decorating. Turquoise blue colors create harmonious color combinations with all white, blue and green colors, adding a touch of cool color to interior design and decor. The mix of blue and green colors is soothing and relaxing. Turquoise blue color tones are pleasant and quiet. These hues help brighten up modern interior design and home decorating with fresh look. 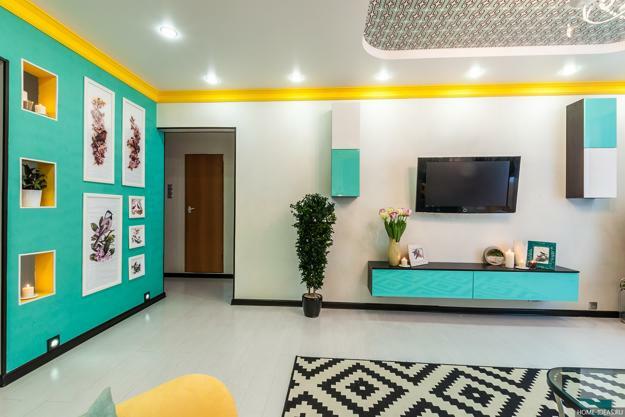 Modern interior design and decor ideas that include turquoise colors are popular and exciting, but selecting the right turquoise tones for existing interior design can be tricky. 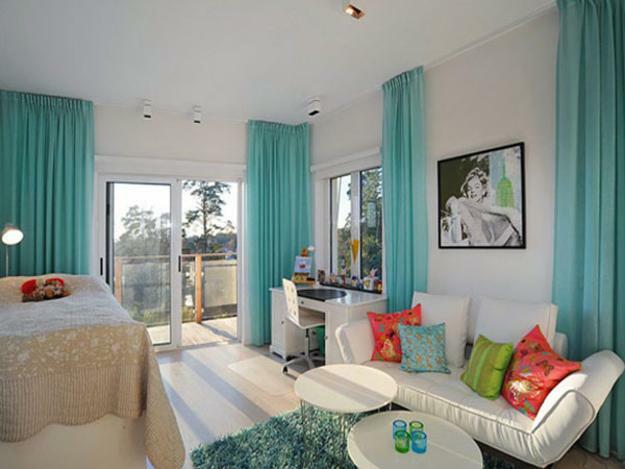 The beauty of turquoise colors depends on the light and other room colors. That is why interior designers advise to choose turquoise color tones in the room you are decorating to avoid mistakes with these blue-green colors. 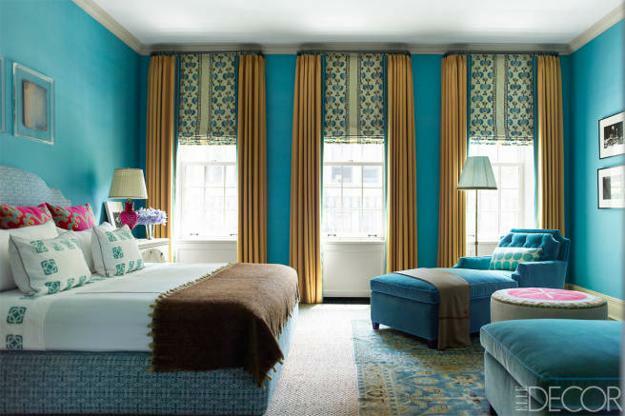 Too saturated turquoise colors can look dark. Rich green-blue color tones are not easy to work with and add exotic feel to modern interior design and decor. 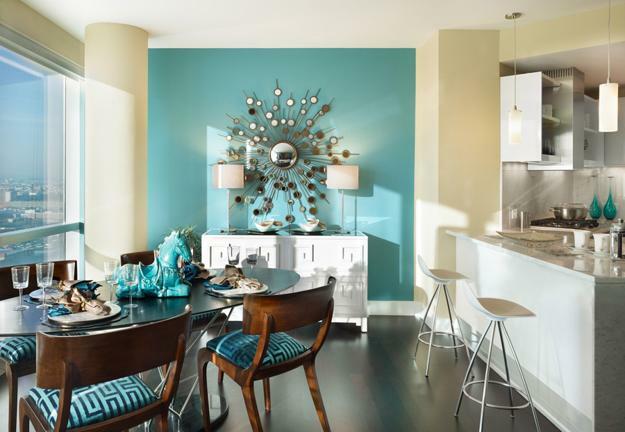 Two color combinations that include turquoise tones are ideal for home decorating. All turquoise colors look great with bright room colors, and only 1/3 of complementary room colors should be dark when turquoise color tones are used in home decorating. 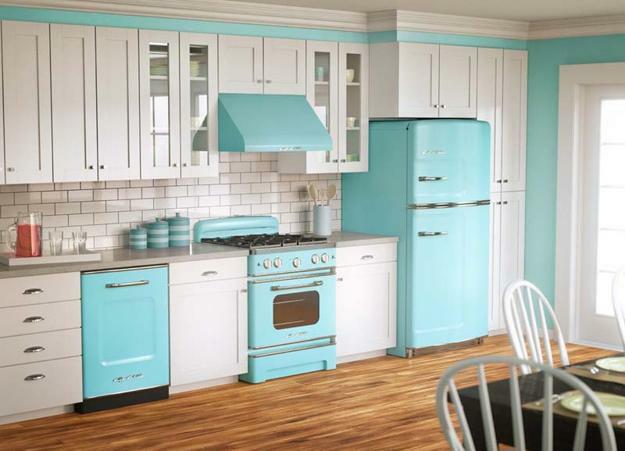 Turquoise color is perfect for kitchen design and bathroom decorating. Turquoise blue-green colors are associated with beautiful azure water. 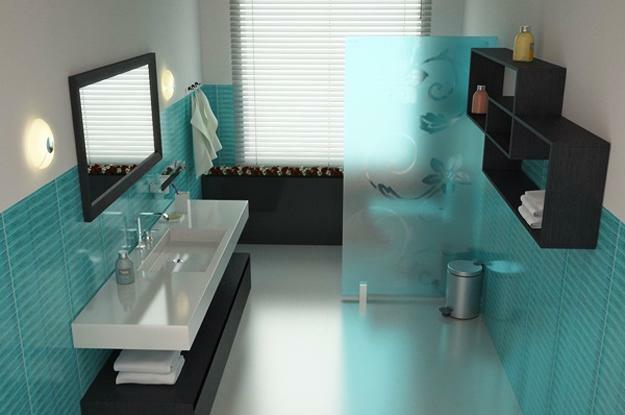 Interior designers advise to use glossy tiles in two or three tones of turquoise color, adding depth, soft contrasts and more interest to modern interior design. 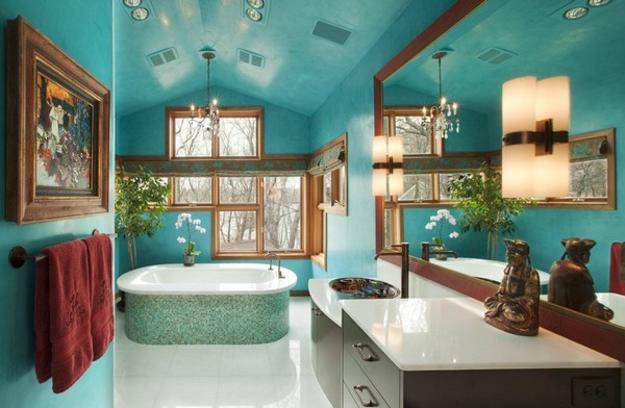 Even ordinary white bathroom fixtures look stunning in bathrooms created with turquoise tiles. Even light turquoise color tones look much richer with white decorating ideas, creating pleasant, comfortable and modern interior design and decor.